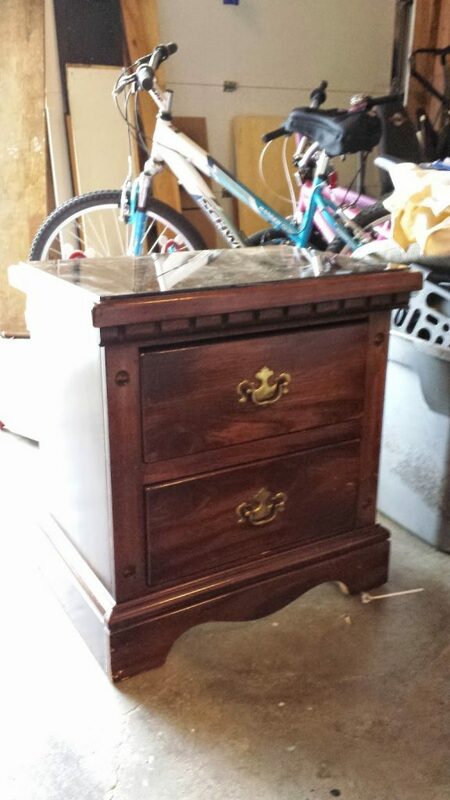 I love shopping Craigslist but I usually don’t buy most of the stuff that I want too. If the price isn’t too high, I tend to not want to drive all over to pick stuff up. I don’t have a truck or a trailer so most often, it takes me two trips to get things home in our SUV. So when I came across the two pieces below for $25 and the location happening to be 1 mile from our home, I couldn’t pass it up. I emailed the guy immediately and picked up the pieces not long after. Both pieces for $25 bucks! 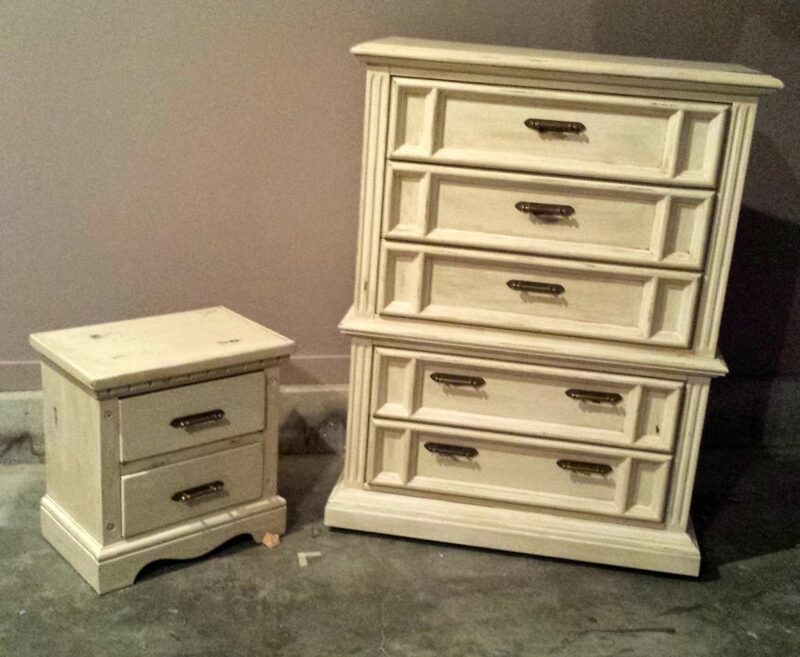 Actually, the dresser for $25 and he threw the unmatching nightstand in for free. In the original condition, the pieces were in good shape. 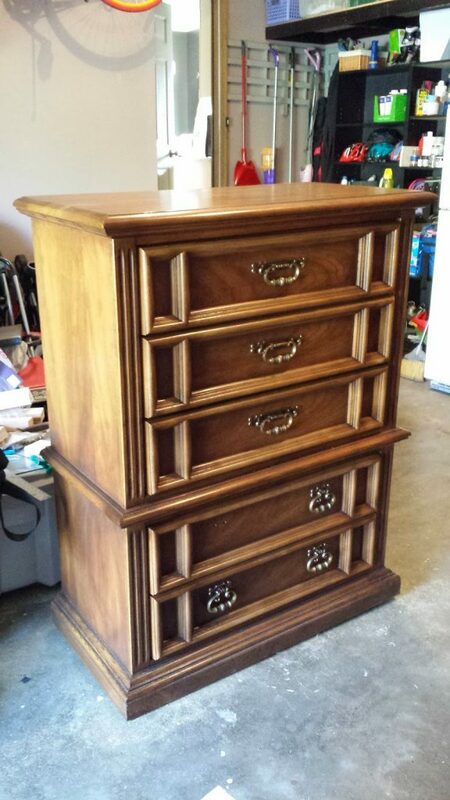 The dresser was 100% real wood but was missing a handle. 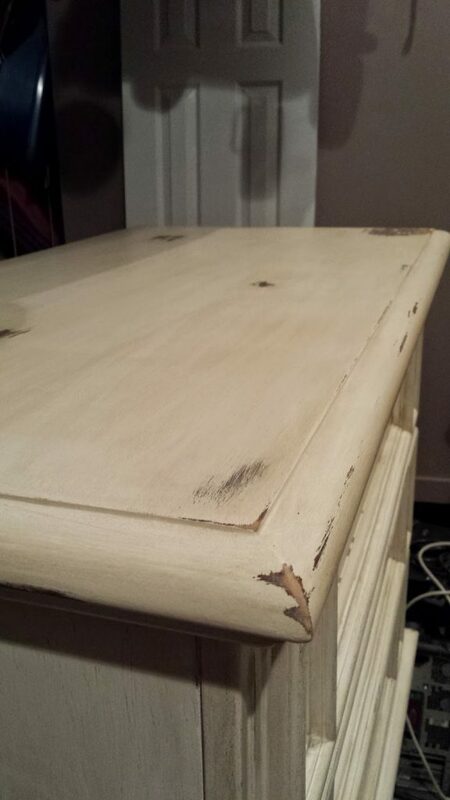 The nightstand was half wood/ MDF and had some water damage to the top that was usually hidden by a glass top. 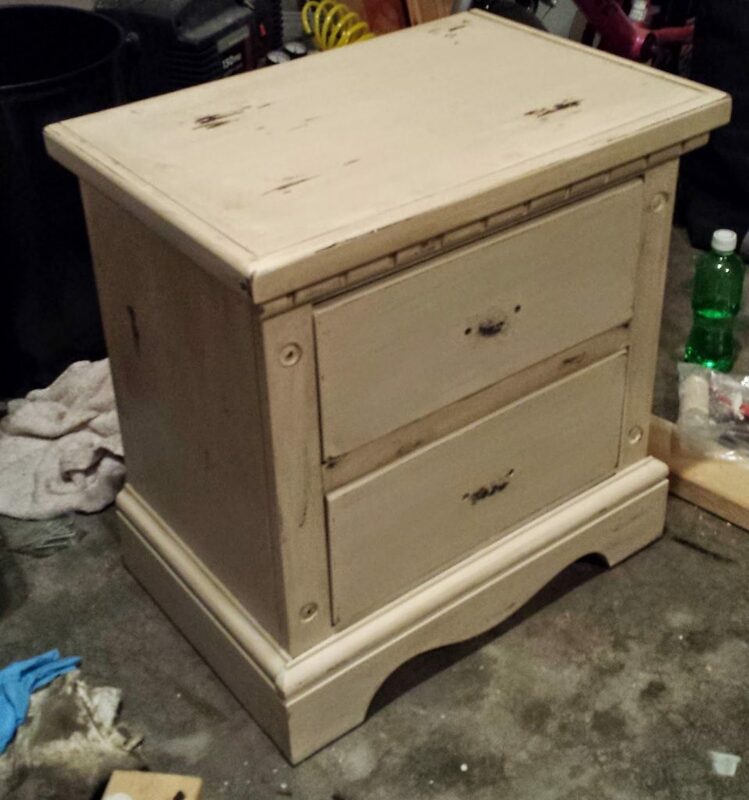 Since winter was setting in fast, I opted to not do my usual 5 coat/color routine and instead, simply sanded and went straight for the primary paint. 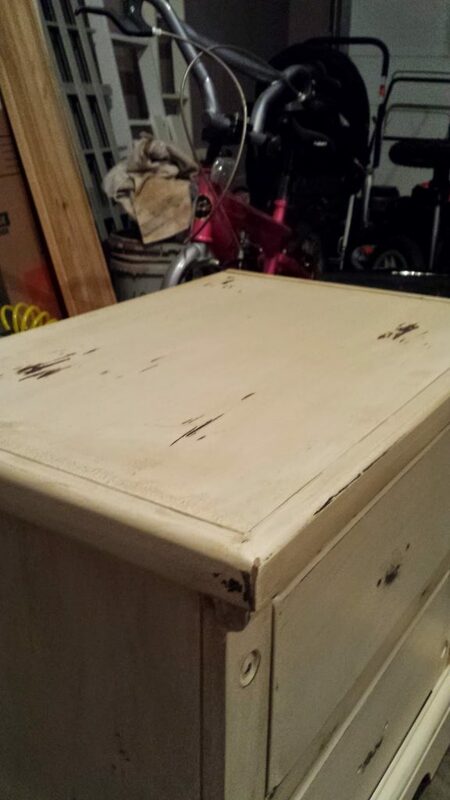 After a good sanding to help the paint adhere, I grabbed some left over paint from our kitchen cabinets (Rustoleum Cabinet Transformation) and went to work. Don’t mind my messy garage. 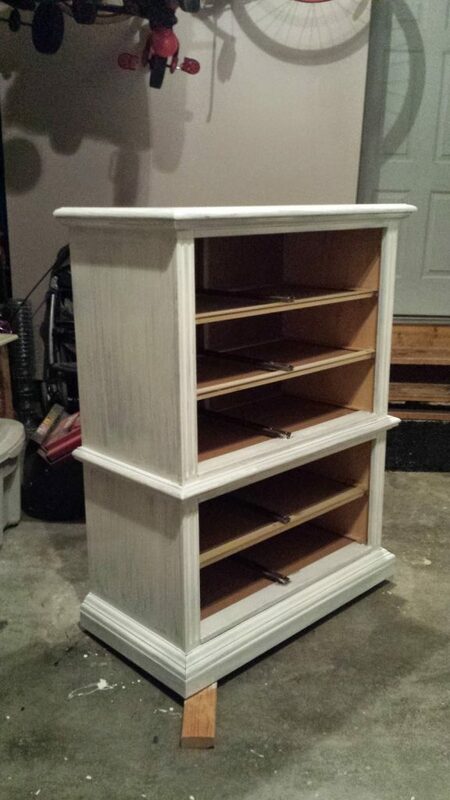 The hardware that I used was left over from the kitchen cabinets that I did happen to also get on Craigslist a few years back. 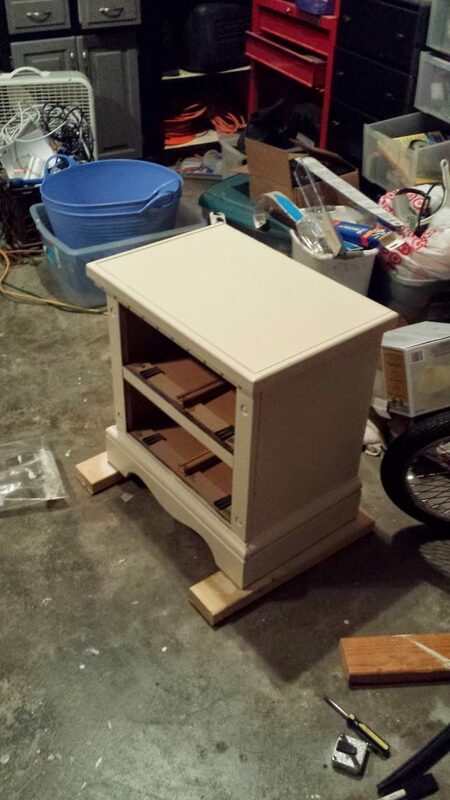 They looked good in their native color and condition so I just had to drill new holes in the drawers and attach them.